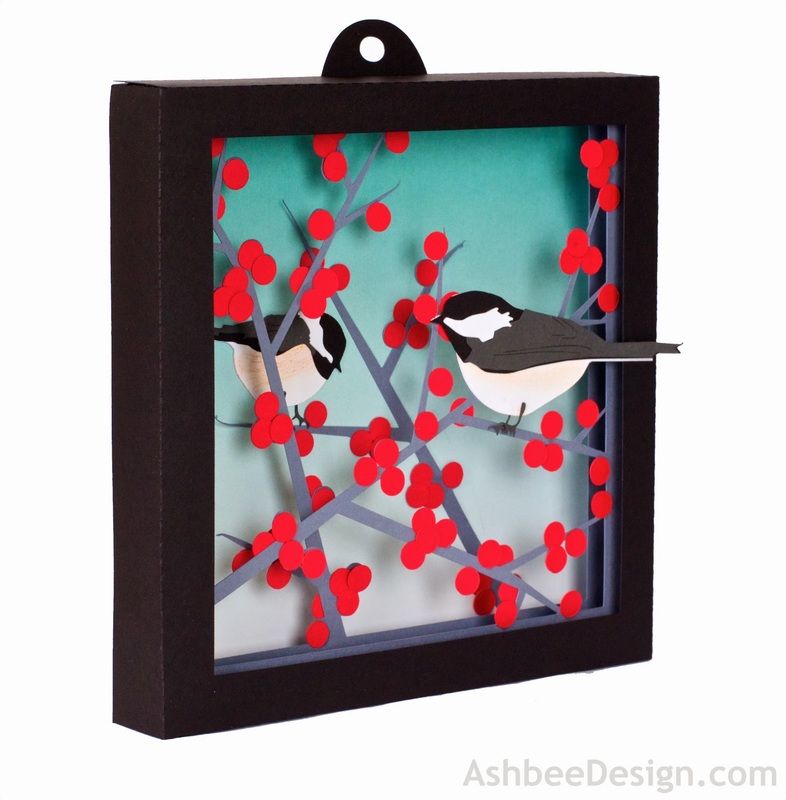 I designed a new shadow box last week. I have had winter shadow boxes bouncing around in my head for months but they got pushed to the back once Christmas crafting took over. 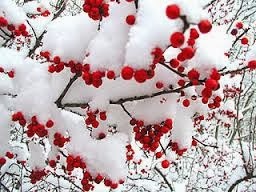 Last week I again thought about it and decided to use red winterberries as the theme. Winterberries are just about the only color in the woods this time of year. I did a search on winterberry images only to discover that it seams to be a very generic term for anything that has red berries that stay on the branches in the winter. I followed the growth pattern of the type above because that is one that abounds in the wetter areas around here. There were a plethora of images of others types as well. from the Web site of Brookside Gardens (Wheaton, Maryland). I am not at all certain what is officially a winter berry! 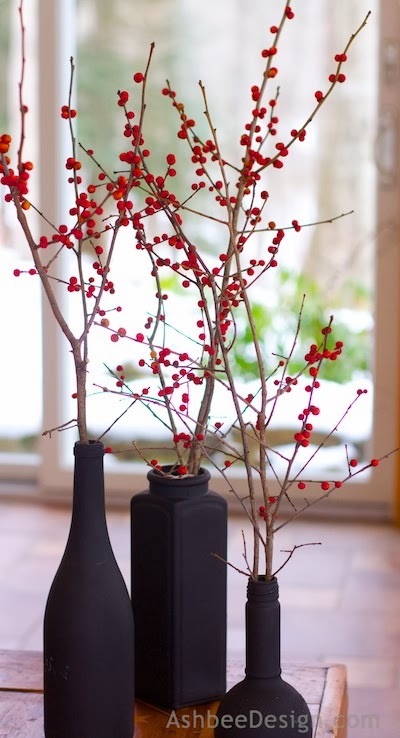 I harvested a bunch of these branches with the red berries from a nearby swamp back in December and have created several arrangements with them for winter color on the door stoop and in the sunroom. They last beautifully in unheated areas. I liked the contemporary combination of the simple spray-painted recycled bottles with the bright red berries. 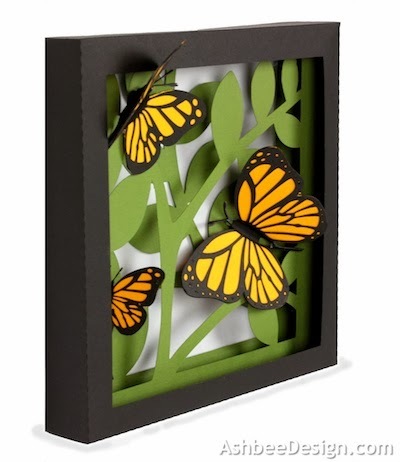 And then I used it as the design inspiration for this new shadow box. 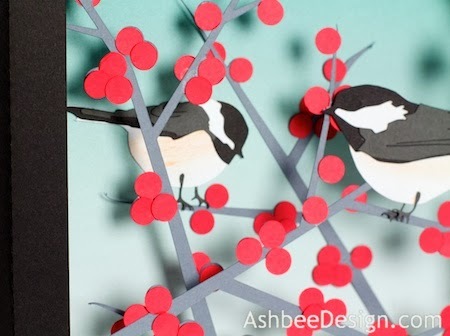 Along with a pair of chickadees! I thought about hitting the layers with a shot of spray snow but didn't because I just love the color as is. I have posted the Silhouette cutting files up on the Silhouette online store here so you can get them as well. For those of you with other cutting machines, I am actively exploring getting my files (especially Ledge Village) transferred to SVG format. It does look like the easiest method requires redrawing. Does anyone have good information about preparing and marketing SVG files? And what cutting machines use DXF? Looking for resources here. Thanks. 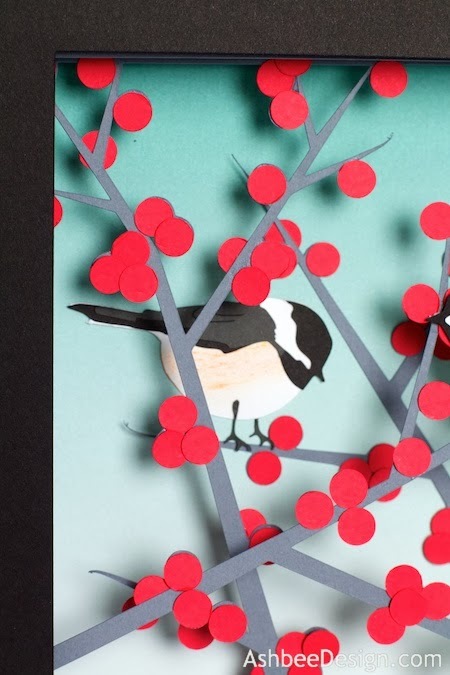 Oh you are so clever….stunning work. Thanks Merry, Loving what I can do with a Silhouette. I don't have a cutting machine, but these are gorgeous. The winter berries are perfect. Excellent work! With very little modification this design could be done without a cutting machine. You would need a circle punch though! Lots of little red circles. They would drive you batty to cut by hand. These are adorable! I love how you really captured the dimentions in them!